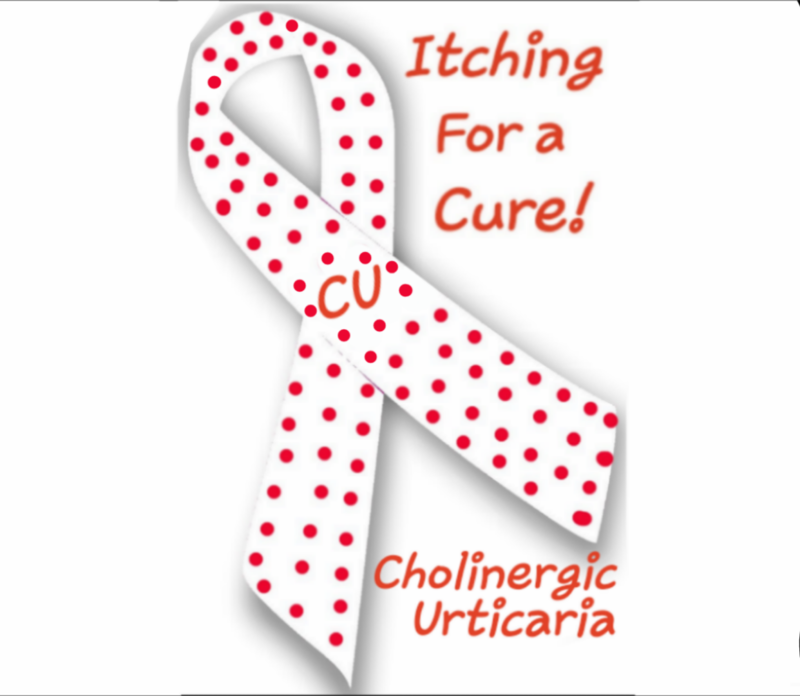 How Cholinergic Urticaria has completely ruined my physical appareance. After awhile of having bad experiences with the way I had been treated whenever I went out into public, I developed "social phobia" due to this. I am terrified of people looking at me. All because how rude people have been in the past when this CU started. It shocks me to see grown adults making comments that result in me going home and crying for hours, wishing I was never even born. I cannot exercise anymore, though I used to always do so daily and I was a gymnast my whole life. It breaks my heart that I can no loner pursue my passions. And at age 25. With my entire life ahead of me, it all disappeared in an instant. I do not smoke, or drink, or do drugs, so I started coping with food. Not junk food, just bigger portions. And combine this with being confined to a bed all day, and getting zero physical activity do to the unbearable constant pain and torturous hives that develope if I try to do any type of physical movement; Well it resulted in a drastic and fast weight gain to say the least. I gained around 100 pounds total. In 2013 right befote I developed CU, I was around 100lbs, I'm 5ft 2in tall, and now, unfortunately, I'm around 200lbs. It is very hard for me, mentally, to attach these photos below. 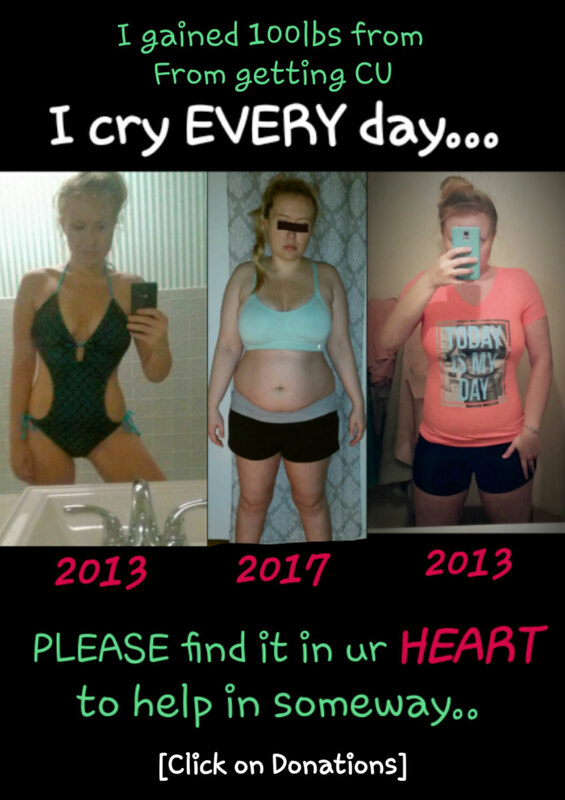 Because I do not want myself, or others, to see how obese I have become, but if it may help someone then I have no choice... 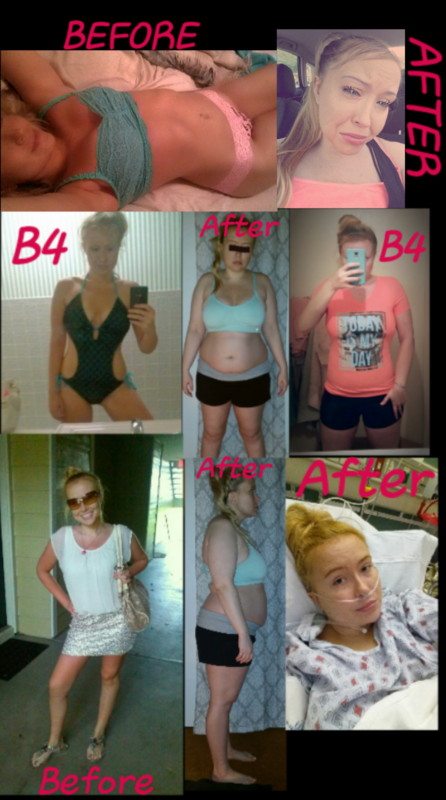 I want to show the world how debilitating this disease CU actually is, and how much it changes a person. Not to mention takes their life away from them. There are a countless amount of illnesses that develope after CU is brought on. I had absolutely no information to go on and just had to suffer in silence for years. But if you too believe you suffer from CU, hopefully the information on this site, from a true CU sufferer, can help you. There is a certain urgency in finding out these facts, as well as what works for your body. If I had some advice from another CU patient, back when I was first diagnosed, I would have been able to get back at least 3+ years of my life. And please be sure to check out my "Advice" Page for help if you suffer from CU.